My husband and I watch this show with our 10yo son. We didn't intend to, but the story line is very compelling. I was a bit disappointed with a couple details in the show, but it won't stop me from watching. This is one show that my husband and I don't mind our son watching. My husband and I often laugh out loud while watching. I'm glad that the dialogue is not over simplified for children. Children are really quite intelligent. Again I hope that the number of seasons for Slugterra begin to rival The Simpsons. I also hope that the plots stay exciting, interesting, and entertaining without being repetitive. 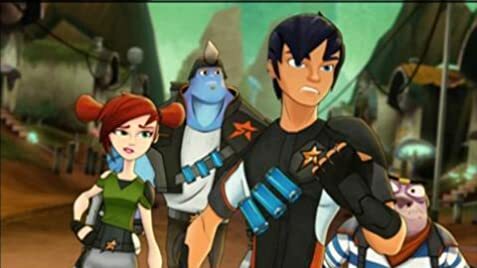 Slugterra is a very interesting, exciting, and interesting concept of layers of worlds within planet Earth. The battle between good and evil is ever apparent. All of the characters are enjoyable. Because of the level of fictional fighting, children younger than 10 MAY not be able to fully realize that this is imaginative and not real. We still have to deal with a level of that in our 10yo son. Otherwise, this show makes you want a Slugterra slug of your own. Thank you, Asaph Fipke, very much. Thank you also to the voice-over actors. Wonderful jobs.